What Makes Us Different?. Get Supersized Images & Free Image Hosting. The images are for reference only. 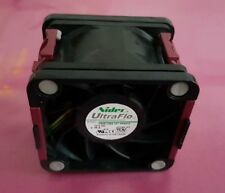 NIDEC ULTRAFLO V60E12BS1A7. HP DL385 G6 / G7. HOT SWAP-ABLE/HOT PLUG FAN. AS PICTURED, CLEAN AND INTACT. VERY GOOD USED CONDITION. The Cooljag CJC689C Dual Heatpipe Desktop CPU Cooler is designed for Socket 754 / 939 / 940 / AM2 / F AMD processors. Using a 80mm fan on a pure copper heatsink, this cooler fits in standard desktop PCs. 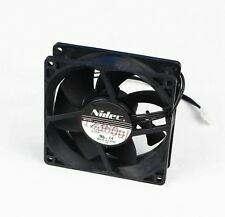 Server Cooling Fan For HP DL360p DL360E G8 Gen8 654752-001 697183-001 667882-001. 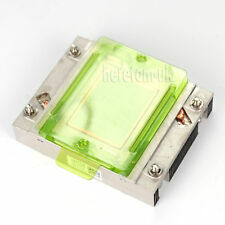 CPU Cooling Fan For HP DL360P DL360EG8 Gen8 667882-001 654752-001 732136-001. HP DL360 Gen8, not G9. 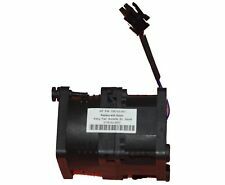 (Part Number : GFM0412SS DD03 675449-002. 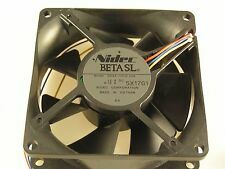 1x Cooling Fan as pictures. weekends ). FULLY TESTED, WORKING AND CLEAN. We will resolve the problem directly with you. fully tested. ProLiant DL380 G6. ProLiant DL380 G 6. ProLiant DL38 0 G 7. HP 463172-001 [V60E12BS1A7-09A032]. Part NumberV60E12BS1A7-09A032. Spares Number496066-001. Fits the following machines. 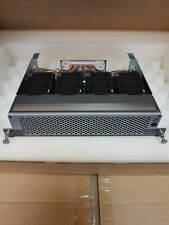 HP ProLiant DL380p Gen8 Fan Module. We are able to source hard to find parts for Legacy systems through to the latest new in box parts for the latest generations of servers & storage systems. Any hard drives (if included) have been data wiped and work. HP PROLIANT DL380 G10 HPE STANDARD HEATSINKP/N: 875070-001. MANUFACTURER: HPE. HP STANDARD HEATSINK FOR HP PROLIANT DL360 G10 - SCREW DOWN. COMPATIBILITY: HP PROLIANT DL360 G10. HP High Performance Screw-Down CPU Heatsink For DL360 Gen9. For DL360 Gen9. 1 x HP High Performance Screw-Down CPU Heatsink 775404-001 734043-001. HP P/N: 734043-001. HP Spare P/N: 775404-001. In Good Condition. This suitable to add your own 2nd match cpu. doesnt included cpu. We will resolve the problem directly with you. used working pulled item#. Fully tested working by our team of professionals. Warranty included. We hope you will be very happy with your item. Power Tools. We don't accept Cheques or Money Orders. Photocopiers Accessories. However we may use our discretion also to provide the safest and best service. Serial numbers : All relevant serial numbers are logged in a data base, we also use warranty stickers where appropriate. Dell P/N: 02FKY9. Dell R430 Heatsink with Grease. (4pcs Proliant DL360p DL360e G8 Server Cooling Fan For HP 654752-001 / 667882-001. HP 667882-001 654752-002 Proliant DL360p DL360e G8 Server Cooling Fan. weekends ). This is for a Nvidia GPU taken from a Precision R5500, in full working order. 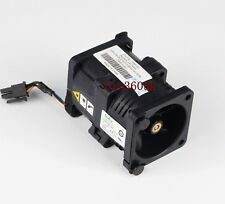 (2pcs Proliant DL360p DL360e G8 Server Cooling Fan For HP 654752-001 / 667882-001. weekends ). 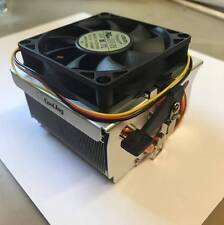 HP Z800 PCI Air Flow Internal Case Fan inc Shroud & 2 Fans. If for any reason you have difficulty installing our products we happily provide free technical Support just give us a call. 468762-001 CLEARANCE SALE. Fan Part Number: Any of 3RKJC NCJH0 WCRWR WG2CK. Tray Part Number: PN3W9. Dell PowerEdge R720 Fan Tray Assembly. Compatible with Dell PowerEdge R720 and R720xd. Fan Tray Assembly with 6 x system fans installed. DL380e Gen8. HP Proliant Gen8 servers BL420c Gen8. BL460c Gen8. BL465c Gen8. BL660c Gen8. WS460c Gen8 Blade Workstation. DL160 Gen8. Part Number: N5T36. Dell Servers HP Servers Hard Drives Powervault Arrays Equallogic Storage Networking Tape Drives. Standard Performance Fan. We can build custom specs on servers and storage arrays. Part Number: TY129 0TY1/ 29. Product:Dell PowerEdge R710 Server Processor / CPU Cooling Heatsink. We promise we can sort any issues out in a quick and amicable manner. Printers, Scanners and Copiers. Monitors, Projectors and TVs. What is pictured is generally what you will receive. While we endeavour to use pictures of the actual item, this is not always possible when we have more than one for sale. 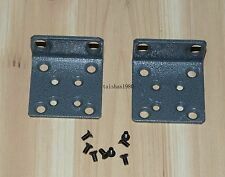 3.5" SAS SATA Hard Drive Tray Caddy For HP Proliant DL20 Gen9 G9 /IC Chip NEW. Hard disk interface: SAS / SATA (Universal). HP Proliant Gen8 servers HP ProLiant DL 380E G8. HP ProLiant BL420c G8. HP ProLiant DL 388 G8. REMOVED FROM NETAPP X3650-R6 SERVICE PROCESSOR. WEIGHT = 600g. HEIGHT = 5cm. Dell P7H13 PowerEdge R320 4 x LFF Bay Backplane Fully tested. However we may use our discretion also to provide the safest and best service. We will do everything we can to rectify the problem! Right of cancellation does not apply to audio or video recordings or computer software if they have been unsealed. Dell Networking S4048T-ON Fan 99D5T. Part Number: 99D5T. Dell Servers HP Servers Hard Drives Powervault Arrays Equallogic Storage Networking Tape Drives. Reverse Airflow Fan. This does not affect your statutory rights. Part Number: H3H8Y. Dell Servers HP Servers Hard Drives Powervault Arrays Equallogic Storage Networking Tape Drives. Standard Performance Fan. We can build custom specs on servers and storage arrays. Add to Favourites. FULLY TESTED. Removed from a DL160 GEN8 Server. 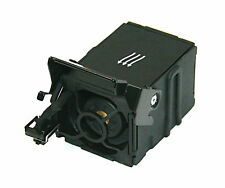 Sunon PMD1204WQB1-A 12VDC 9.1W 40x40x28mm 3-pin case cooling FAN. TAKEN FROM A WORKING SERVER. Part Number: 61DJT. Dell Servers HP Servers Hard Drives Powervault Arrays Equallogic Storage Networking Tape Drives. Normal Airflow Fan. We can build custom specs on servers and storage arrays. Condition -New.